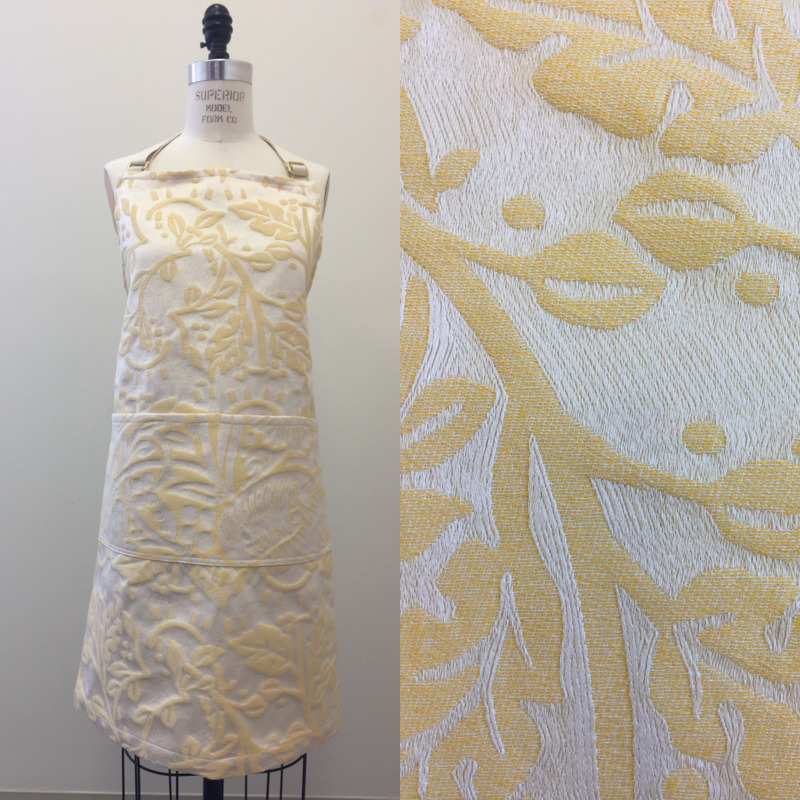 Chef apron, Leaves and Berries Jacquard, Yellow. 32” long x 26” wide. Adjustable straps and deep, split front pocket. 100% Egyptian Giza Mercerized cotton, makes it naturally stain-repellent and long-lasting.